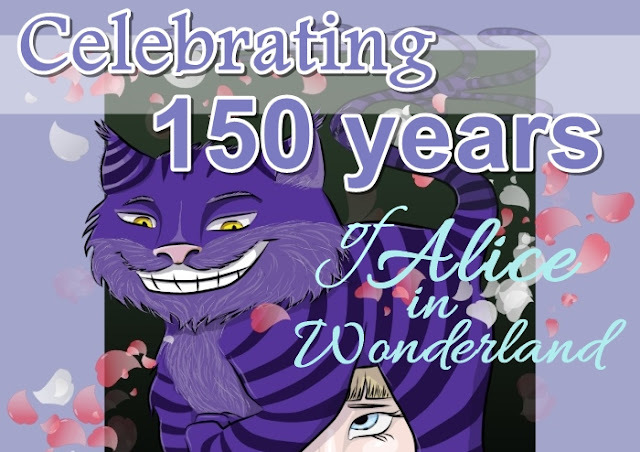 Celebrate 150 years of Alice in Wonderland with us! I believe that everyone with the ability to venture into the fantasy world of fairytales has read or knows about Alice in Wonderland by Lewis Carroll. This story has inspired many art pieces, movies, plays, songs, and a whole different aspect of the artistic expression that just gets "curiouser and curiouser". Twenty-sixteen is the year to go down the rabbit hole and share a cup of tea with the mad hatter in celebration of the 150th anniversary of this iconic story. We have already visited an art exposition embracing the inspiration of the crazy world of Alice, and we are very excited about two upcoming events that embody the celebration as well; Tim Burton's movie, and our local County Fair, which is going to be thematic as well. We didn't want to stay behind and decided to make some art of our own to join in the celebration, after all, we don't want to be late for it. 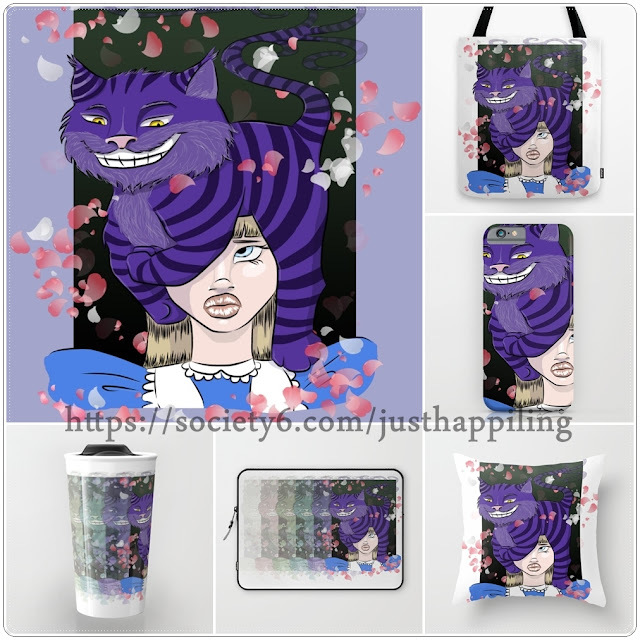 Visit us on Society 6 (http://bit.ly/S6justhappiling), and get your favorite merchandise with our Alice in Wonderland design. By purchasing our products, you are supporting this blog, and future projects that will allow us to continue sharing our projects from; Just Happiling, The happy baby blog, The happy reviewers blog, and The Lopez Garden. How about another surprise? 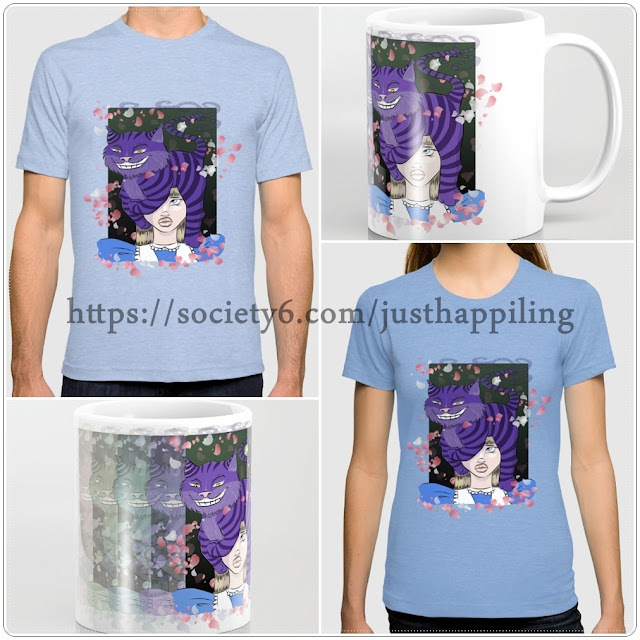 Not only are we celebrating our launch on Society 6, but you can also enjoy 15% off all merchandise in the site + free shipping worldwide! So hurry, and don't be late to take advantage of this great offer. Expires 06/06/2016. I really enjoyed making this design, and being able to celebrate Alice in Wonderland's anniversary by bringing to you guys this fun way to celebrate with us. Thank you for all your support, and follow us on Instagram @justhappiling to keep up to date with future products and/or reviews. Plus, coming soon, an exclusive freebie for our Instagram followers. Remember to smile, because it is contagious!